Hobart is a compact city with a special character all its own. Sitting in the foothills of Mt Wellington, it combines a rich colonial heritage and natural beauty with a contemporary lifestyle. 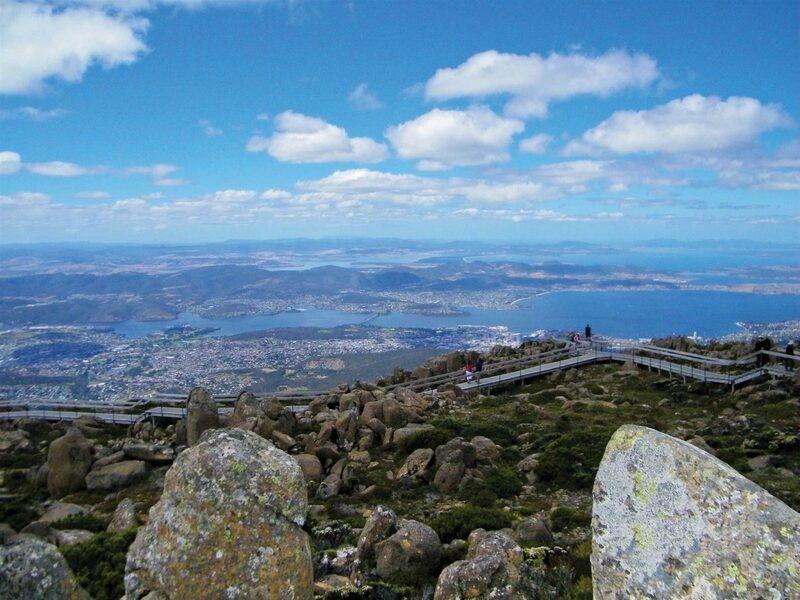 It’s also close to some of Tasmania’s most visited attractions. 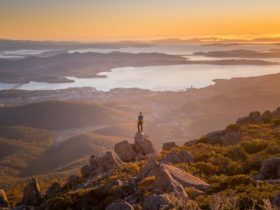 In Hobart you can sample beer from Australia’s oldest brewery at Cascade, browse the stalls at the ever popular Salamanca Market, visit the Tasmanian Museum and Art Gallery, or take a drive or tour to the top of Mt Wellington for amazing views of the D’Entrecasteaux Channel and surrounding bays and inlets. 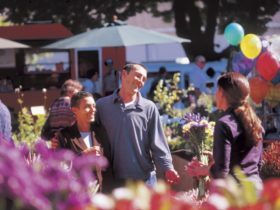 For a quiet relaxing stroll try the Royal Tasmanian Botanical Gardens with its early heritage structures or walk the galleries at the Museum of Old and New Art (Mona), the largest private collection of art and antiquities in the world. Hobart combines fine restaurants, a living colonial history and incomparable, accessible landscapes all within easy driving distance. Hobart makes a good base for exploring southern Tasmania with many of Tasmania’s top attractions all within a 90-min drive of the city. South of Hobart is the stunning coastline of Bruny Island, the tranquil beauty of the Huon Valley and the rugged Hartz Mountains National Park. East of Hobart are the wineries of the Coal River Valley, the historic town of Richmond and the Tasman Peninsula with its spectacular coastline, geological features and World Heritage listed convict sites. To the west is the Derwent Valley, where the road follows the beautiful River Derwent through rows of poplars and on to Mount Field National Park with its beautiful waterfalls and walks or further on to the grandeur of Lake St Clair and Tasmania’s World Heritage Wilderness Area. And north from Hobart, the Midland Highway heads to Launceston. Dubbed the Heritage Highway, it offers many opportunities to learn more of Tasmania’s heritage past, with homesteads and country cottages reflecting Tasmania’s early colonial history along the way.